Amal Clooney is creating a scholarship program for young Lebanese women. 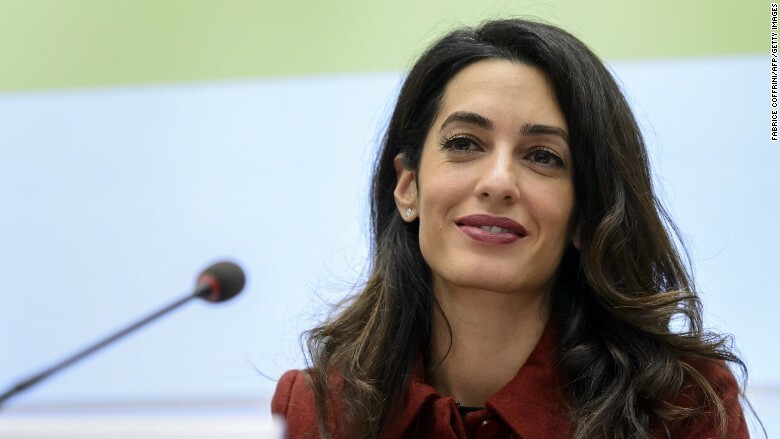 Amal Clooney wants to give Lebanese girls a "transformative" education. The powerhouse human rights attorney -- who also frequents the red carpet with husband George Clooney -- is endowing an annual scholarship to send one female student from her home country of Lebanon to an international boarding school in Armenia. Winners will be chosen based on academic performance and a "demonstrable interest in the promotion of human rights and international issues." "This scholarship will give young women from Lebanon the opportunity of a lifetime," Clooney said in a statement. "Cross-cultural learning and studying abroad can be transformative." The scholarship will pay for a two-year baccalaureate program, which costs about $70,000. The school is in Dilijan, Armenia, is part of the UWC school network that was formed in 1962 to promote cross-border collaboration and create "champions of peace." UWC has 15 locations around the world and hosts students from more than 180 countries, according to its website. Clooney is partnering on the scholarship with the 100 Lives initiative, which launched this year with the intention of recognizing heroic acts during the Armenian Genocide, which took place a century ago in the Ottoman Empire. George Clooney is also involved with 100 Lives and will present its inaugural Aurora Prize for Awakening Humanity next year. His foundation, Not On Our Watch, is also a partner of 100 Lives.